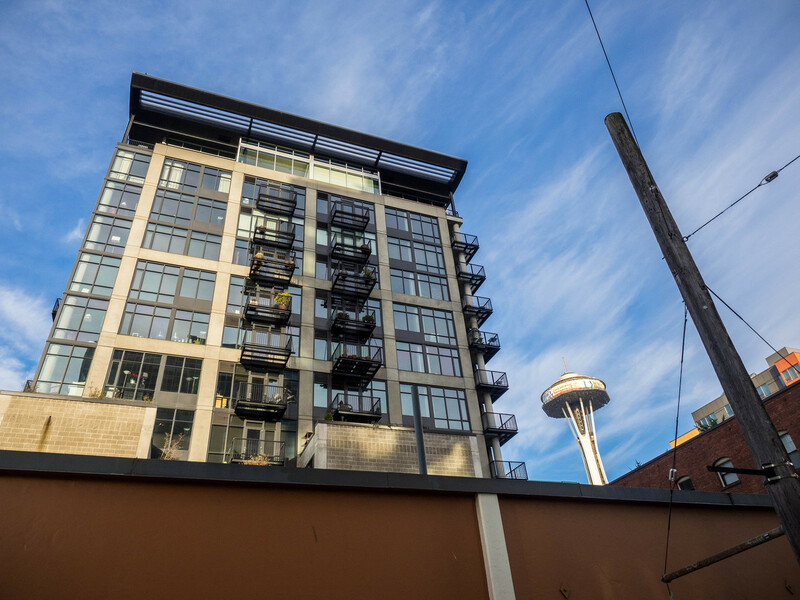 Falkin Associates supported The Schuster Group in their development of Mosler Lofts. 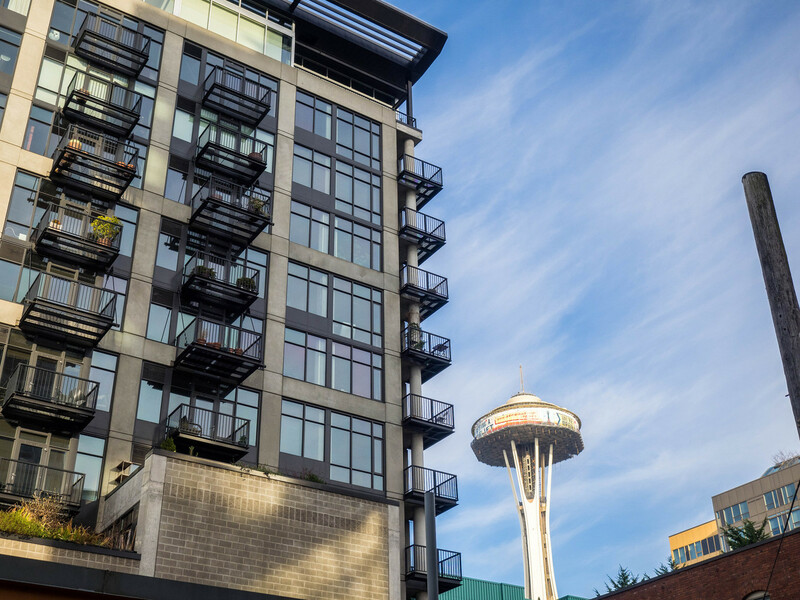 Mosler, built in 2007 is a striking image in the Belltown skyline. 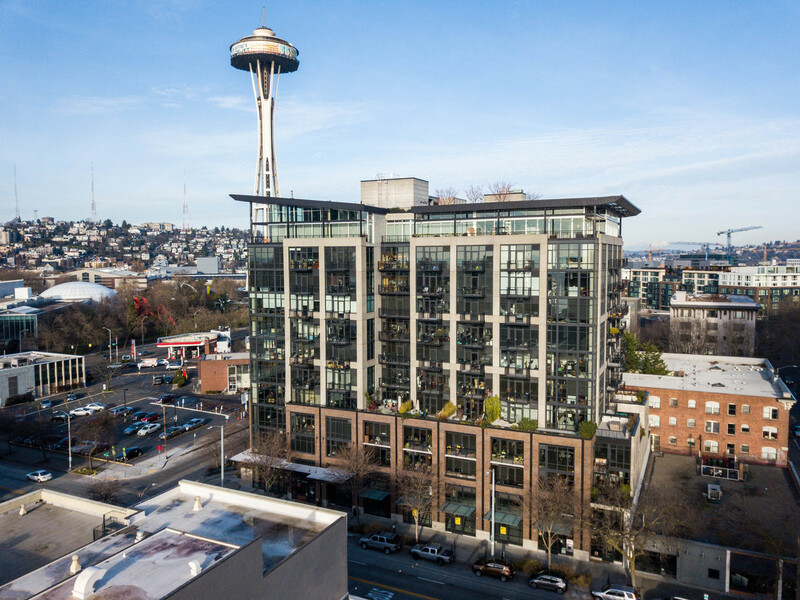 With 148 units, this 12 story building brought a lot of attention to the traditional Seattle market. 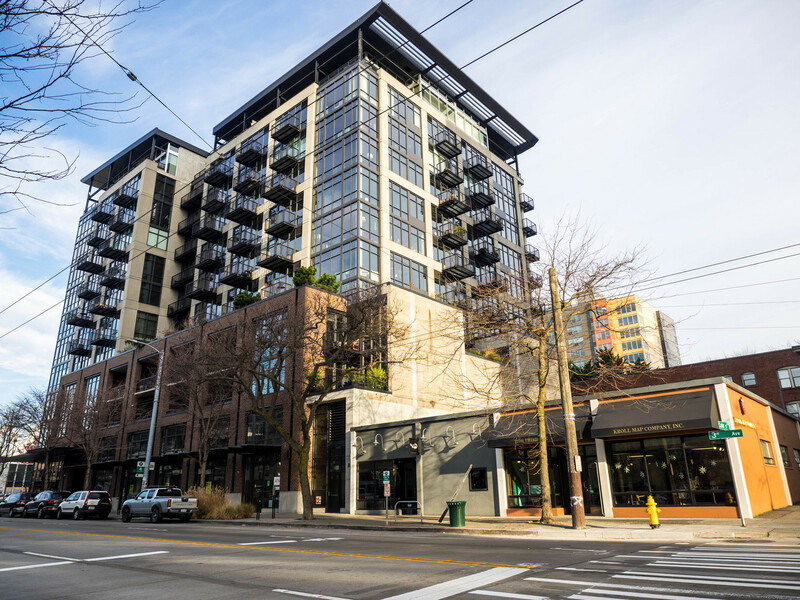 The ground floor is home to a few 2-story townhomes, while the upper floor has incredible Penthouse units with generous decks and stunning views. 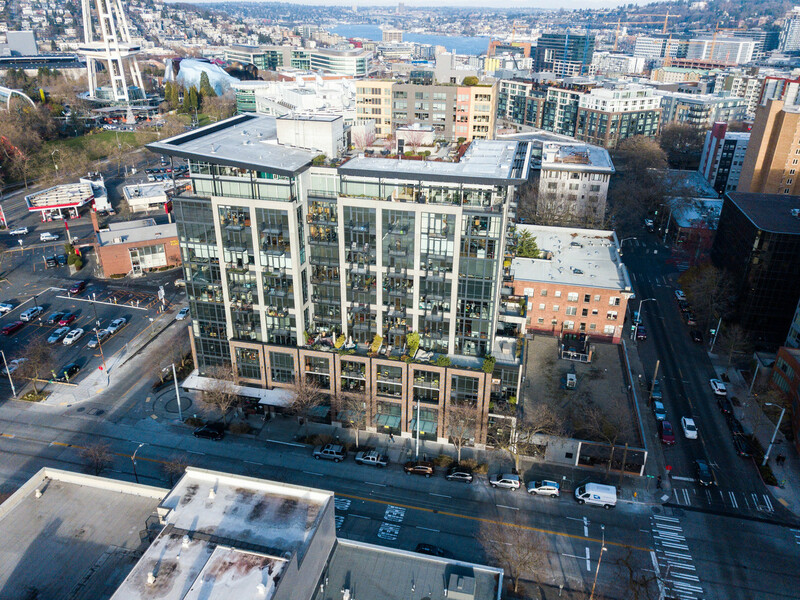 Overall the building has a wide variety of floor plans. Each unit with a different vantage point. 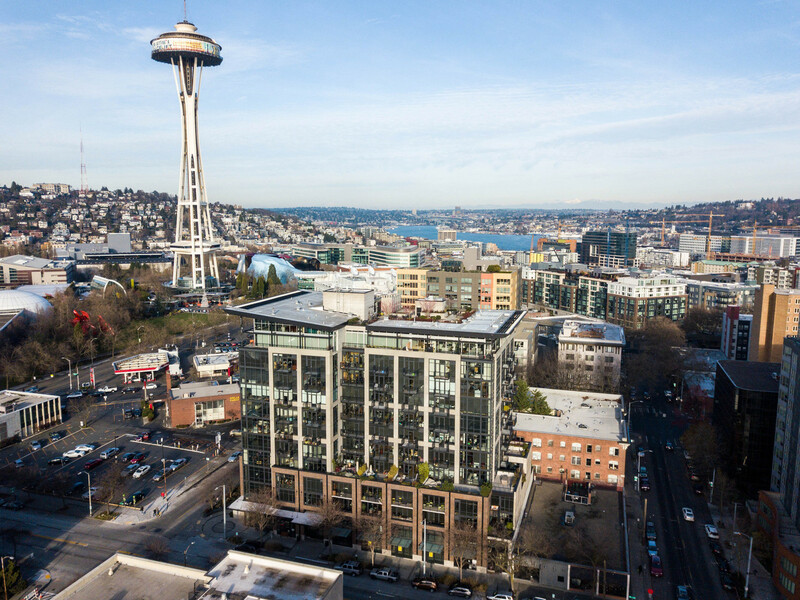 The grand lobby sets the tone for the entire building and the project includes a workout facility, owners lounge, library, reading nook and a breathtaking rooftop deck. 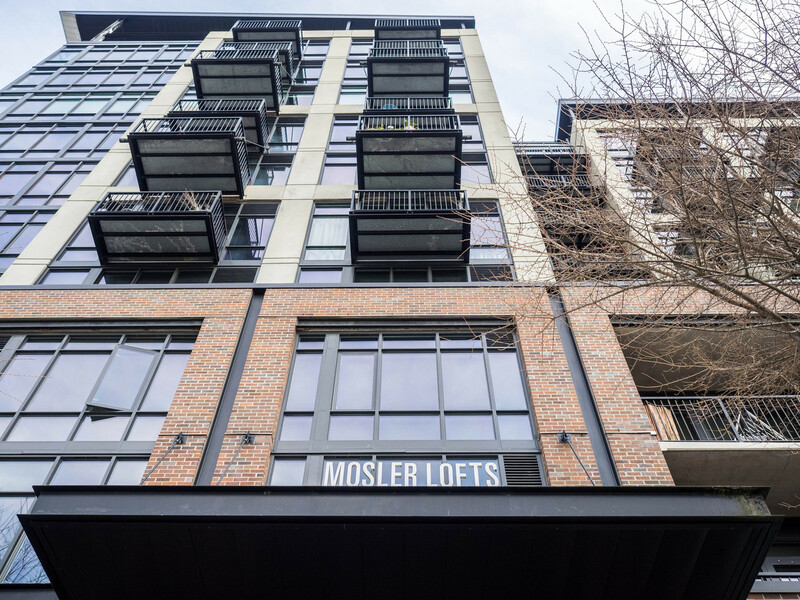 Mosler Lofts were Built Green and meet theLEED Silver standard of construction.